First of all how is it going to be September tomorrow?! This year has just flown past. August has been a fairly exciting month for me product wise, as I’ve been trying out loads of new things, and also rediscovered a couple of old products that I love. So here’s this months monthly offering. This Vitamin E Hot Cloth Cleanser something I’ve mentioned numerous times on my blog and it used to be a staple item in my skin care routine. After my last tube of it ran out many months ago I decided to start trying out different skin care products, and this kind of got forgotten about. It wasn’t until I was in Superdrug again one day that I decided to give it another go, and I’m glad I rediscovered it! REN is a brand I’ve heard a lot about but have never got around to trying out. My friend Simone finally talked me into trying out REN and I’m absolutely loving this cleanser so far. It’s working really well so far on clearing up my skin, so I think this might be here to stay in my routine. Check Product on Amazon Now! This was another product I was talked into buying by Simone. Originally I wasn’t sure if I could justify buying a face mask for this price, but Simone assured me it was something I needed. I’ve only used this a handful of times so far, but it’s amazing. My skin is instantly transformed after this, looking radiant and glowing. Got to say, REN skin care products are amazing me so far. This was something I received in my BBB Edit Box and I wasn’t originally excited about it. Hand cream isn’t something that really bothers me, but after trying this one out I am converted. My hands don’t tend to get very dry, but this has made them extremely soft. I’ve now left this on my desk next to my laptop so I can reach for it easily. I must admit I have a weakness for Lee Stafford products. I love the pink packaging, and the smell. I usually stick to the Hair Growth Treatment range but I decided to give this a go as my hair was feeling a little unhealthy lately. I loved it so much that I’ve actually used this up this month and repurchased another one. As regards to fixing my split ends, my hair is definitely feeling a lot healthier. I received this in my #JulyLondonMeetUp goody bag last month and I’ve been using it ever since. I like to either apply it before I put on my lipstick, or at night. It’s really helping to keep my lips soft, and I’m hoping it will come in handy around the winter months. This was the product I was most excited to try out in my BBB Edit Box after hearing everyone raving about it on Twitter. I have a lot of acne scars on my face so I was hoping that using this would help me out. So far I haven’t seen any results with the scar fading, but it is helping to keep my skin feeling soft and nourished. I’m hoping over time I’ll see an improvement with my scars. This is another product I received in my BBB Edit Box. I love Benefit products so I was excited to try out this primer. Although I only have a tiny sample, I’ve been able to use this almost everyday since I got it. 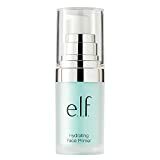 It’s really good at making my make up last longer, and minimizing the appearance of my pores. I think I may have to make a full size purchase when this runs out. So what products have been your favourite this month?